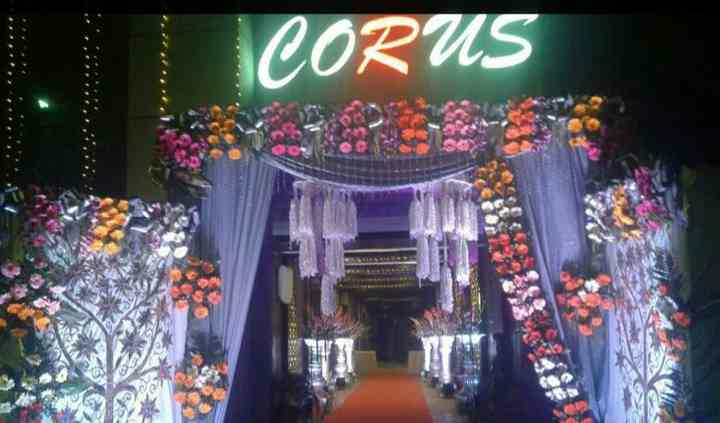 Corus Banquet is located in Gurgaon city. It is the conventional celebration pick of a venue by the looks of it. Even though it has a conventional feel but with a contemporary look as well. It offers a perfect blend of simplicity with a luxurious elegance in its decor and ambience. Choosing the right venue is the hardest task to do and has to be done correctly to organise a grand and flawless wedding. If you are looking for a great venue to host any of your wedding functions, then Corus Banquet is the choice that you should definitely make. Corus Banquet has a huge event space that can hold up to 1000 guests, which is why it has a diverse use of its area, even though they have just one event space. 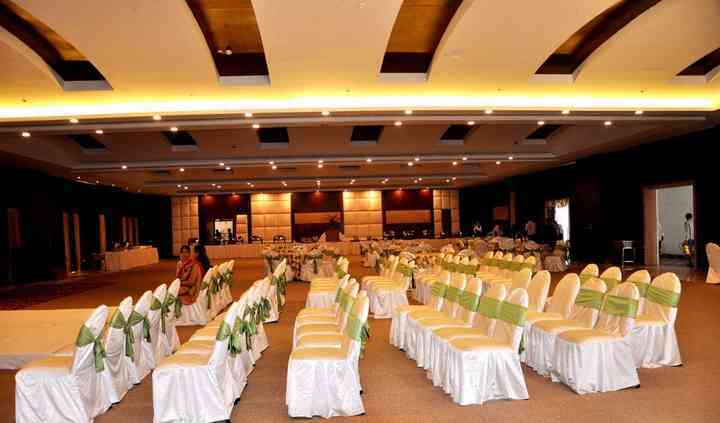 Corus Banquet Hall is best suited for events like pre-wedding functions, wedding ceremonies or reception. 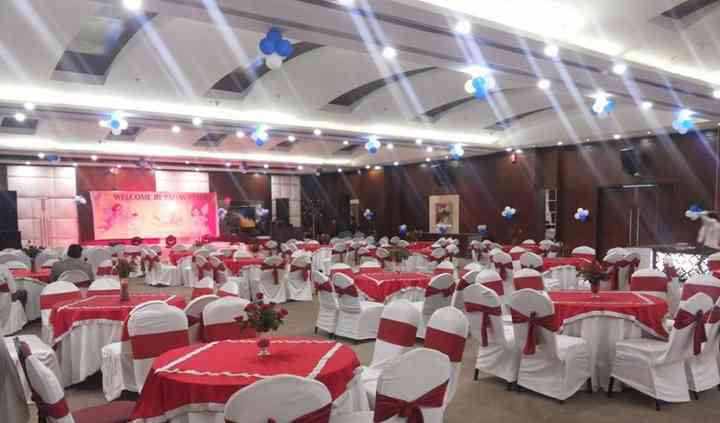 The hall is equipped to suit all your needs and demands of the function, such that each celebration is a joyful memory. It provides a lot of amenities including furniture, valet parking, basic lighting, electricity, and backup for your smooth and hassle-free wedding experience. 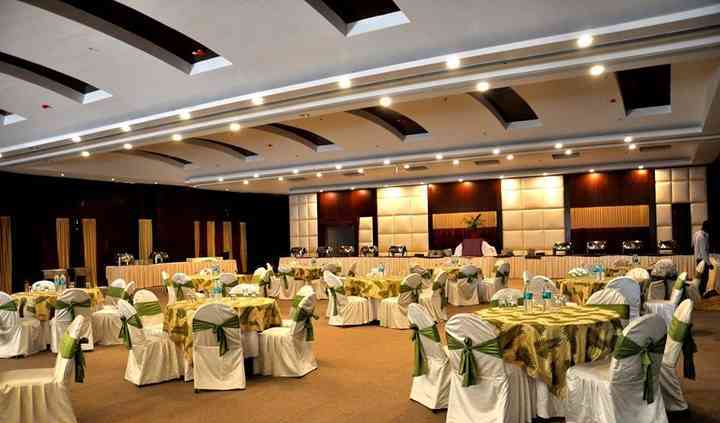 Corus Banquet has well-furnished rooms, categorised into Superior, Premier, and Suite. All rooms feature modern comforts and amenities including Wi-Fi connectivity, personal safe, round the clock room service, and much more. Their team of professionals aim to understand and fulfil all your expectations and desires to deliver maximum client satisfaction with their amazing and flawless services.